Just gonna have some fun today and post up a few things that caught my eye. If you look at this guy's vids, he also has a semi-gatling style hand version. However, it doesn't have a triggering mechanism like the crossbow version. I may be in love with the girl in the second video. Wow. The only problem is that I'd be too easy to manipulate. Every time she wanted me to do something I didn't all she'd have to do is start singing. I'd get mesmerized and follow right along . . .
We though about adding motocross, but the necessity of trucking in tons of dirt and removing it before the Camping World series made that impractical. We've not been able to convince any television outlets to cover the iRacing series. As well, the open wheel racers are not willing to give their series over to our control and we have some concern that if we showed people that style of racing it might detract from followership of the Nationwide and Sprint series. 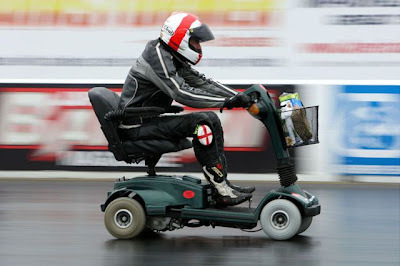 So, we went out and designed and created an exciting new form of racing. It was announced that restrictor plates on these vehicles will limit them to a maximum of 75hp. Reaction among current racers was uniformly positive. Rookie Martin Payton, whom NASCAR introduced with the prototype as a man expected to rise through the Piggly Wiggly Cup series, compared the vehicle with the ones at his store in Asheville. We had three of these in our store for handicap use. After hours, when we got tired of stocking, we'd race those things around the store three or four times. This will be pretty much the same except the track won't have wax on it and nobody'll get fired if a boss walks in. I can't wait to get my Quaker Oats, Jello, Hot Pockets cart out there and win our team a Piggly Wiggly Cup. While none of the major teams have announced that they will participate so far, there are persistent rumors that Kyle Busch already has sponsors lined up an will make an attempt to win all four races in one week. A person is guilty of reckless driving who fails to stop, when approaching from any direction, any school bus which is stopped on any highway, private road or school driveway for the purpose of taking on or discharging children, the elderly, or mentally or physically handicapped persons, and to remain stopped until all the persons are clear of the highway, private road or school driveway and the bus is put in motion. A person driving a motor vehicle shall stop, such vehicle when approaching, from any direction, any school bus which is stopped on any highway, private road or school driveway for the purpose of taking on or discharging children, the elderly, or mentally or physically handicapped persons, and shall remain stopped until all the persons are clear of the highway, private road or school driveway and the bus is put in motion; any person violating the foregoing is guilty of reckless driving. The only reason I can conceive that this change is being made is that somewhere out there a defense attorney is arguing that the current statute is oblique and does not specifically require a driver to stop and therefore punishes drivers for doing an activity which they are not forbidden to do. It's a creative argument, but I can't see any judge I've practiced in front of buying it. So, the question is, do I tell the LEO's about this or just blow it off as the General Assembly tweaking a statue without changing its meaning in any significant way? Gotta admit, I'm leaning toward the second. It's an interesting statute in that it does not require the Commonwealth to pay costs; thus, it's not a redundant section requiring payment for attorneys or experts in an indigent case. This is aimed directly at "a complaining witness." Who, then, is this aimed at? One possibility is that it was meant to apply to citizens who come in time after time after time after time to the magistrate swearing out warrants for every time their neighbor looks at them cross-eyed. Also, it might be intended to keep merchants from using bad check charges to collect their money without paying the fees that it would cost to do civil collection. Of course, the problem with these possibilities is that vast majority of those charges are handled in General District Court and Virginia Code Section 19.2 only applies to Circuit Courts. A second question which comes to mind is whether, should a defense attorney move that the judge impose this section on a complaining witness in a case, would the prosecution have standing to oppose the motion? After all, the prosecutor represents the government; she's not the personal attorney of the complaining witness. "Ladies and gentlemen, the attorney sitting at the table closest to you, with her client, is Martha Hampton. I always have to ask what her name actually is before I introduce her to a jury because for the last 25 years that she has been practicing law here in Pitcairn county everyone has always called her 'Honor.' I think her daddy gave her that nickname, just like he called her brother Martin, who owns the big car dealership in the town of Lesterton, 'Tiger.' She's been doing this for a while and she'll be defending Mr. Jones today." "And the Commonwealth is represented by Ken Lammers." "Now, I'm going to give some preliminary instructions . 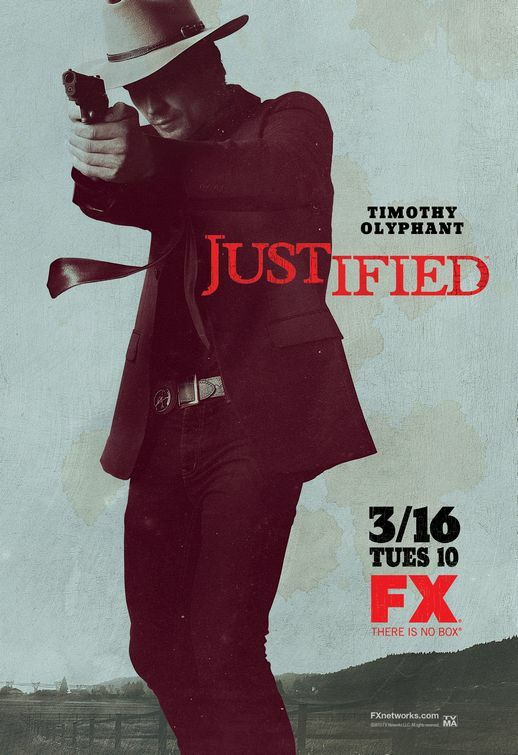 . ."
Last year I started watching Justified, the story of Raylan Givens. Givens is a Marshal who grew up in Harlan County, Kentucky. He screws up and gets sent back to Kentucky. Chaos ensues as he takes out the bad guys in Harlan. Now, we're in the middle of season 2 and Givens is taking out the next group of bad guys in Harlan. If you don't take it too seriously, the show is a lot of fun. On top of that, it's also fun to come into the office and tell the lady in my office who is actually from Harlan how every bit of crime in Kentucky somehow goes her home. You'll recall that last year I was a little derogatory about the fact that the show wasn't actually filmed in Kentucky, much less Harlan County. However, I've come to realize that there is a reason they aren't filming there. So far, all Kentucky crime goes through Harlan, and both the sheriff and local police chief have been shown to be corrupt. Just imagine the film crews interacting with the locals once the locals realize how they were being portrayed. Suddenly, every time one of their vehicles goes 2 mph over it gets pulled over and cited. "Sorry sir, but I can't let you go with a warning. People might get the impression that law enforcement in Harlan is corrupt." And, imagine the process for getting permits. "No ma'am, I'm afraid we can't take any shortcuts. You'll have to fill out all 134 pages in the application and wait until we get approval from the department of tourism in Frankfort. It should not take any longer than 3-4 months." Maybe they made the right choice in deciding not to film in Harlan after all. Can We Stick to a Standard? We all know the basic standards we deal with every day in court. This is where most of the standards have shaken out to. If you read back through old cases they are more protean because the language hadn't shook out yet, but you can usually see what they were developing into. So, in the modern era we've figured out the language and the appellate courts use the language and standards they have developed. For most of us, this came to light last a couple years ago in Arizona v. Gant. In that case the US Supreme Court adopted a "reasonable to believe" standard when deciding the conditions that officers can search a car. If it is reasonable to believe that evidence of the crime the officer is arresting the driver for is in the car the officer can search the car. That is amorphous as all get out. Are they merely re-affirming the Carroll Doctrine? Or are they stating that reasonable articulable suspicion is enough under these particular conditions? The rest of us now get to fight over all of this for years because the Court couldn't bother to be clear. However, it's not just the US Supreme Court which does this to us. Recently, I got a message from a fellow prosecutor who was arguing with a defense attorney over what the standard is in a probation violation hearing. I snapped off an answer, "Preponderance, because it is a post-conviction hearing." Of course, being lawyers, they weren't willing to take me at my word and the next thing I know, I'm looking through case law trying to support my position. As I look I realize that the answer I gave was based upon research that I had done about federal sentencing, not actual Virginia research. Under Va. Code sec. 19.2-306, a judge can impose time which has previously suspended upon finding "good cause to believe that the defendant has violated the terms of suspension." So, the question becomes, what is "good cause?" Turning to the case law, I traced the standard to be applied to Slayton v. Commonwealth,185 Va. 357 (1946). In Slayton the Virginia Supreme Court stated that the standard is not beyond a reasonable doubt. Instead "revocation is a matter within the sound discretion of the trial court . . . reversible only upon a clear showing of abuse of such discretion." Abuse occurs when the judge does not use "conscientious judgment", instead taking "arbitrary action." A further gloss on this appears in Marshall v. Commonwealth, 202 Va. 217 (Va., 1960). In Marshall, The Virginia Supreme Court "[t]he cause deemed by the court to be sufficient for revoking a suspension must be a reasonable cause." So, splicing Slayton and Marshall together the standard for a probation violation is reasonable cause within the sound discretion of the trial court. I don't know how anybody else reads that, but that language reads to me as tracking fairly consistently with the probable cause standard - "a level of reasonable belief, based on facts that can be articulated." That's an incredibly low standard. Perhaps this is because no one has actually challenged whether violations must be proven to a preponderance standard. It's a little disturbing to think that the standard is low enough that it could be less than 50% likely that the violation occurred. Once upon a time the way that someone became a lawyer was to "read" law. Basically it was an apprenticeship in which a aspirant lawyer worked at an established attorney's office for a period of years and upon completion the aspirant became a full fledged lawyer. It was a good system for providing street level attorneys. Then came the law schools. I picture the advent of law schools as an attempt to make things more scholarly and professional. Keep in mind that law has always been one of the four professions - medicine, law, priesthood, & teaching. As such, it was within the province of the upper class and sending young Master Smythe off to study at Harvard Law was a sort of finishing school which gave him a greater view of the legal word before he went into running the family business, or politics, or some such noble endeavor. Then came the ABA. In the late 19th century, the ABA pushed for the elimination of reading law in favor of law schools. They have been eminently successful at this. In fact, they have managed to exterminate it in all but 4 states: California, Vermont, Virginia, & Washington. This was probably an attempt to limit entry to the profession and ensure the quality of legal training. The side effect has been the alienation of large portions of those who actually practice law and perceive law school as nothing more than a barrier between them and practice. Many practitioners bemoan the fact that law school did not prepare them for the realities on the ground in Pitcairn County and the steep learning curve they are exposed to immediately after passing the Bar and actually beginning the practice of law. In fact, there has been a steady drumbeat in favor of making law schools more practical. Because of this schools have started programs and clinics for students to shadow prosecutors, work with public defenders, do legal aid work which otherwise would not be available, etc. On the other hand, there has been serious pushback from the law schools which do not want to extend these limited programs to general practicums required for all students. 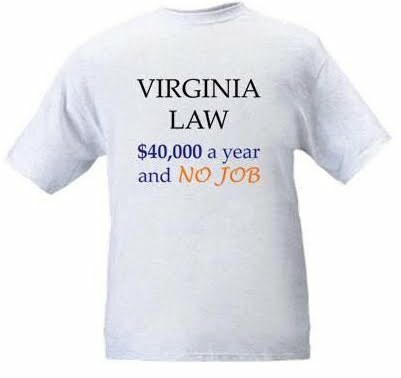 The usual rubric given is that law school is a school of post-graduate education, not a trade school. Still, whichever side of this debate one falls on, I don't understand how taking tenure away from law professors is supposed to fix it. It has become increasingly popular to think that the removal of tenure will fix everything at any school. Yes, the lack of tenure will allow a school's administration to remove a professor who is off track and spending an unusual amount of time praising Sharia law in his Evidence class ( a personal memory of law school) . On the other hand, it also gives the administration a free hand to remove those professors with whom the Dean or President disagree. The professor who keeps insisting on pushing racial inequality issues in admissions (and making the school look bad) - gone. The professor who upsets the other faculty members because he is a card carrying member of CATO and publishes an in-your-face blog about law and libertarianism - gone. And, if you think the publish or perish atmosphere at law schools is bad now, just imagine the pressure to publish if everyone is on a 5 year contract, renewable at will of the Dean and recommendation of a faculty committee. The lack of tenure strikes me as a great way to increase political maneuvering amongst the faculty and administration, silence those who have points of view not congruent with the administration's position and goals, and cause professors to concentrate on publishing to the detriment of students. How does any of that move in the direction of the ABA's stated goal of making law schools more flexible and cost efficient? A law school administration doesn't need to remove tenure in order to make practicums part of the curriculum for all students. If the ABA really wanted to make things more cost efficient, perhaps it should develop an approved reading law curriculum and push States to re-adopt that model. [A chief prosecutor] paid bonuses last year to felony prosecutors who won convictions in at least 70 percent of their cases. They were required to have tried at least five cases, and plea bargains and mistrials didn’t count. Prosecutors assigned to complex trials were exempted. The average bonus paid was $1,100. I applaud the concept of trying to pay your best employees a bonus at the end of the year. However, I have my doubts as to whether the best prosecutors will get this bonus. In reality, this bonus would not affect the majority of prosecutors. They would go on doing their job in the manner they always have and let the cards fall where they may. However, every profession has its share of ethically challenged. Of course, we on the prosecutorial side of the courtroom have so few that it might be said that they are a vanishingly small number, but I'll assume their existence just to discuss this bonus program. To begin with, if a prosecutor is doing her job with even a little bit of competence, the vast majority of all cases are going to settle. Of course, none of these cases will count toward the bonus. This is a flaw. In general, it's the uncertain cases which go to trial. The prosecutor is convinced of guilt, but the evidence might not be so strong as to make the case a slam dunk. On the defense side, one of the factors to be taken into consideration is the perceived capability of the prosecutor in the case. If John Smith has a reputation as winning almost every jury he's ever tried, the defense attorney is less likely to recommend a jury trial for his defendant. Thus, established, competent prosecutors are less likely to get the bonus because they are known to be competent. On the other hand, a prosecutor who wanted that bonus, but had concerns that the case is a close call, has an incentive to dump the case. This incentive has nothing to do with whether the defendant is guilty; it has to do with the prosecutor wanting the money. Thus, the aggravated snipe hunting case gets reduced to misdemeanor snipe hunting and probation because the prosecutor thinks he has only a 60% chance of winning the case and any loss counts against his bonus. Another effect of this would be a shifting of defendants' incarceration lengths from those with harder evidentiary cases to those with easier evidentiary cases. In Virginia we have sentencing guidelines. Let's say that Defendant's sentencing guidelines for embezzling $5,000 from a local church and shoplifting a pair of $250 boots from Wonder-Mart are the same: from 7 months to 1 year and 5 months with a mid-point of 1 year. Typically, a defendant pleading straight guilty is sentenced by the judge to the mid-point. Thus, the current incentive is for the prosecutor to offer some sort of discount in order to get the defendant to plead guilty; in this case we'll operate on an assumption that the prosecution would offer a 3 month discount (a plea offer of 9 months). The embezzlement case is harder to prove. The records are voluminous and will bore the jury to tears. The defendant is the beloved coach of Pitcairn High's football team. The defendant's psychiatrist is claiming he suffers from post traumatic stress from losing last year's state football championship when the ref made a bad call. None of this makes Defendant any less guilty, but it could all make the case more difficult. On the other hand, the shoplifter comes from the Greene family (whom everybody in Pitcairn County knows are crooks), is on video doing the crime, and confessed. The prosecutor, realizing the first case will be difficult and influenced by his desire to get that bonus, offers the low end of the guidelines to Embezzler; the prosecutor may even agree to a sentence below the guidelines. In the end, Embezzler gets 6 months, instead of 9, and Prosecutor's conviction record is safe. As for Shoplifter, the prosecutor really wants her to go to trial. In fact, the bonus provides an incentive for the prosecutor not to offer any deal at all. As well, if the defendant pleads straight guilty to the judge, the prosecutor is then incenitivized to push the judge to a sentence higher than the mid-point in order to make future defendants not want to plead straight guilty and perhaps influence them into taking jury trials. Assuming the prosecutor does not want to be too obvious, he will probably make some sort of offer, but it will be what everyone expects the judge to offer or perhaps very slightly less. He just wants enough easily convicted defendants to choose a trial so that he can boost his convictions - not enough that he is having a jury trial every other day. So, Shoplifter gets 12 months or maybe 11, instead of 9. Of course, there is always an incentive to offer a little better deal in any hard case, but at least without this bonus system there's no reason to increase the offered sentence in easy cases. I laud the chief prosecutor for trying to reward good work. Any kind of bonus system is going to be difficult to justify. If the chief prosecutor hands out bonuses based solely upon his belief as to who has done the best work he is likely to cause bad feelings in the office as prosecutors perceive that he is playing favorites. On the other hand, any metric he lays out can be gamed so that the individual prosecutors act to enrich themselves rather than seek justice. Personally, I don't think the bonuses offered in this scheme are enough to influence prosecutors throughout the entire year, but there will always be the suspicion. 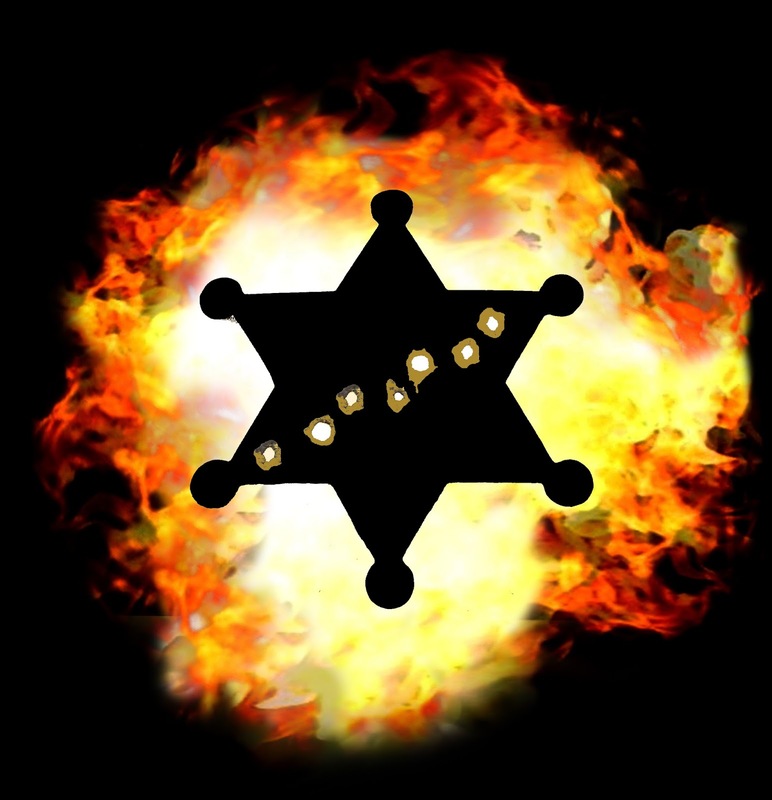 Maybe the only way a bonus system could work is if the same bonus is given to each prosecutor depending upon the prosecutor's level in the office hierarchy. Prosecutor to Defense Attorney: "You seem to have some concerns that I may not have the evidence to convict your client. I must tell you that I do not share your concern." One charge we often prosecute is the theft of copper wire, and any other metal items which aren't nailed down and guarded 24 hours, from mine sites. However, the theft of metal isn't limited to just mines. You just can't leave a house alone anymore because there's a fair chance you will come back with all your wires stripped out. So, I've been trying to put together a brief summary on the laws related to this for those of us in the Commonwealth Attorney's office to use. And here it is . . .
To begin with, all "scrap metal processors" can buy ferrous scrap from anyone (per 59.1-136.2), but they can't buy any metal from any individual under the age of 18 (§ 59.1-136.4). Ferrous metals are iron and steel, but not stainless steel (59.1-136.1) and scrap metal processors (SMP) are businesses with equipment "for processing and manufacturing scrap metal into prepared grades for sale as raw material (Id.). When law enforcement requests, SMP's are required to report all nonferrous metal they buy within a day of the purchase. This report has to include information about the seller including his name, birth date, ID number, address, height, weight, and the license plate number of the vehicle in which he drove into the scrap yard (§ 59.1-136.5). Another section requires the SMP to keep a ledger with the seller's identification information, the license of the car the seller came in, and a description of the items sold. The seller is also required to produce a government ID under this section (§ 59.1-136.3). If all this is complied with the SMP can buy "proprietary articles" from anyone over 18 selling them as long as (a) the seller has papers proving he has the legal right to sell the proprietary articles, or (b) the SMP documents a diligent attempt to find out if the seller has a right to sell the items, reports the sale to the police within 24 hours, and holds the item for 15 days (§ 59.1-136.3(B)(2)). Proprietary articles include copper wire 3/8" and aluminum wire 3/4" (§ 59.1-136.1). All the above statutes above are in the Trade and Commerce part of the Virginia Code (§ 59.1). All violations of this section are class 1 misdemeanors (up to 12 months; up to $2,500 fine) and, perhaps more devastating, the local town/city/county attorney can assess a $7,500 fine for each violation and that fine goes directly to the locality instead of Virginia (§ 59.1-136.6). A fine which goes directly to the locality is like throwing chum in the water to draw sharks. There are several statutes which place general prohibitions against purchases on everyone who wants to buy metal. Remember, unless the scrap metal dealer has the ability to change the incoming items into prepared grades to be sold as raw material he does not qualify as an SMP. I suspect that most purchasers we deal with do not have the capability of rendering the incoming product into straight raw material. They probably have equipment to crush it and then ship it elsewhere, but it's unlikely they have the ability to separate all the impurities (paint, other metals, glass, etc.). Thus, the first thing to do is figure out whether the scrap dealer is an SMP or someone subject to these laws. Going back to the Trade and Commerce section, it is illegal for anyone to buy "bare or insulated heavy stranded copper or aluminum feeder wire, high voltage copper or aluminum transmission wire, or bare or insulated mining machine copper cables" unless the seller is the manufacturer, the industrial user, the government, an electrical contractor or a licensed scrap dealer (or an agent of one of them) (§ 59.1-128). Of course, this carries the same penalty as described above for all violations of § 59.1 - class 1 misdemeanor or $7,500 civil penalty to the locality for each violation. Now we move on to the Criminal Section (§ 18.2). There are two statutes here §§ 18.2-237 and 238. § 18.2-238 makes it a crime to buy any metal which came from a mine or railroad (among other places) if it is bought with the intent to defraud. If the metal was bought from someone who is not the manufacturer, the manufacturer's agent, or a licensed dealer it is prima facie evidence of the intent to defraud. This is a class 6 felony (up to 5 years). 18.2-237 applies to "secondhand grate baskets, keys, bells and bell fixtures, gas fixtures, water fixtures, water pipes, gas pipes, or any part of such fixtures or pipes." This section also requires a purchase with an intent to defraud and has the same prima facie assumption, however, it is only a class 2 misdemeanor (up to 6 months). So, your jurisdiction has a shady scrap metal dealer. First, you determine whether the business is an SMP. If it is, you are probably stuck in the SMP section with a bunch of misdemeanors because that section was written to apply directly to them. However, if the business does not have the equipment to fit under the definition, then you can hit it with the more serious criminal charges. Of course, the question in each of these cases is, who do you charge? If there are employees who haven't been trained to do all the necessary things, do you charge the employee or do you charge the owner who wasn't even there. Whichever one is charged will point his finger at the other as the actual culprit. Probably the best way to handle this sort of thing is to get with the locality's attorney and start civilly citing the business for every single teeny-tiny violation. Your locality's attorney will probably be quite happy to get money which goes directly to the locality. The level of proof is mere preponderance. The business can be cited because this is a civil failure to maintain proper business practices. Eventually, Smith's Scrap Metal will decide it's not worth a $7,500 fine to look the other way and pay $100 for metal it can sell for $500 if it's getting fined every time (either that or it will go out of business). 1) States are passing "no refusal" laws which require prosecutors and judges to be available when DUI checkpoints are going on so that instant warrants can be issued when people refuse breath/blood tests. ~ I think Virginia handles this better with the civil refusal charge that takes a person's license for a year if they don't submit to the test. 2) Fairfax police have gotten the 1st runner up "Black Hole Award" for refusing to turn over information to the press about possible officer wrong-doing. 3) This story is best summarized by the shirt. 4) Pills aren't just being sold and abused in the mountains. 5) Want to get rid of young, thuggish loiterers? Play loud, classical music. 8) Someone is breaking into attorney offices in Bristol, Va., but no on is sure why. 9) The Reds are on top of the Central (celebrate while you still can). 10) The very height of investigative journalism: the courthouse roof is leaking.